The panel will now scale itself for proper display on high-resolution screens (4K, Retina, etc.). The feature is still in a test mode, so let me know if the panel looks ugly on your monitor. 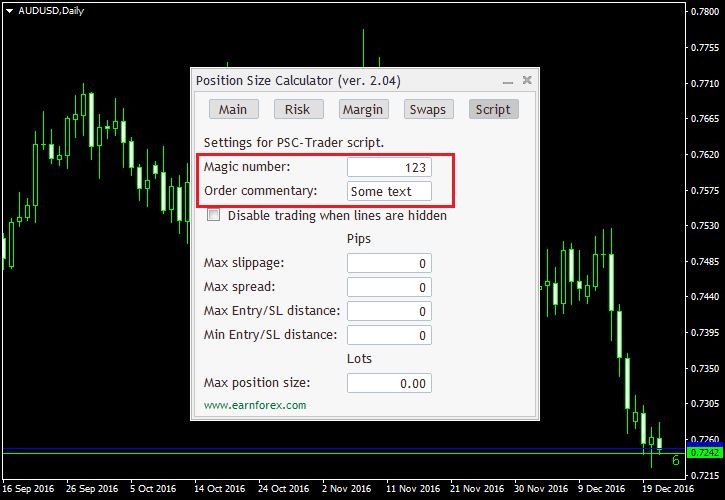 There should not be any compilation errors when compiling the indicator in latest builds of MetaTrader 4 (1031) and MetaTrader 5 (1495). 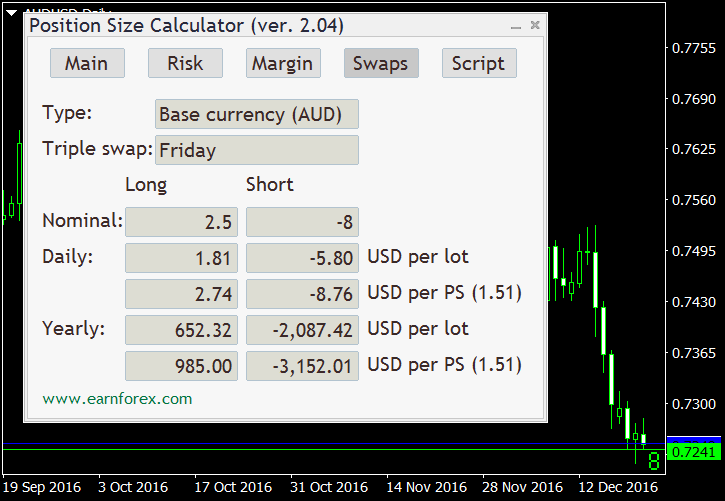 The previous version would sometimes display the nominal swap rate in the Swaps tab with 100 decimal places. Now it should display as many as are really required. Working with PSC via templates is now easier — you can set default risk and order type using the input parameters. Also the entry and stop-loss will be reset when you apply the template to a new chart. 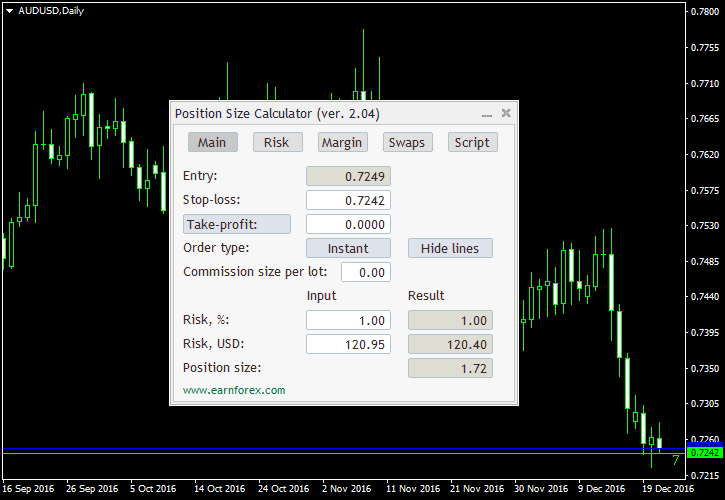 If you still prefer not to use MetaTrader, you can opt for the web version of the position size calculator. Unfortunately, it lacks the most interesting features of the MetaTrader version.